Fishing may be considered a sport, a hobby, or an occupation; either way, fishing is a way of life. 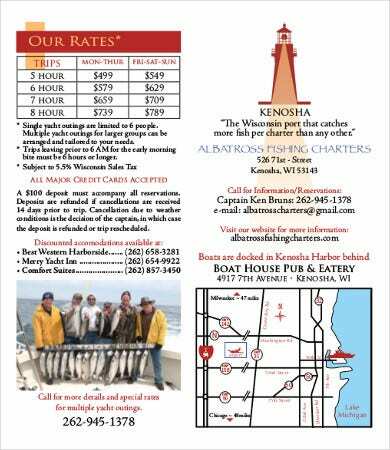 Anybody from any gender group or age group can enjoy the fun that can be experienced from fishing. It has been done since prehistoric times when primitive people used crude materials such as rocks and sticks to catch fish. 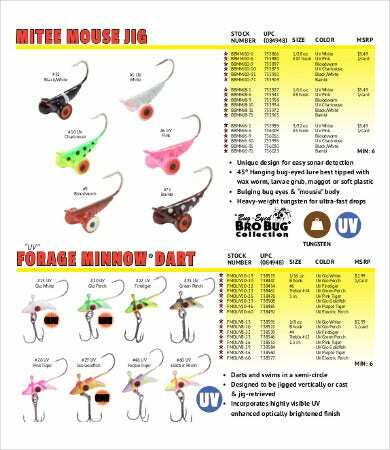 Nowadays, there are different fishing equipment, gears, and techniques that can be used to catch different types of fish. Brochures, on the other hand, are good advertising tools that businesses use for advertisement and/or promotional purposes. It could be used to promote either the business itself or their products and services. These can provide an easy way to get the word out about something. 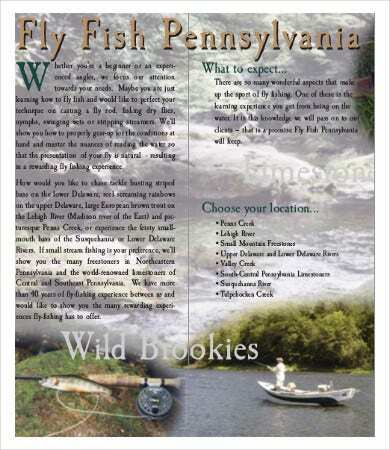 Check out this page for an entire gallery of Brochure Templates that are all about fishing. Fishing can be a source of stress relief, and you may enjoy spending time in the outdoors and exposing yourself to the wonders of nature. 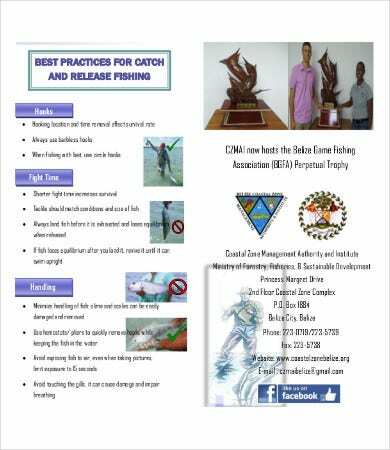 Fishing can be a fun activity for the family as well as friends, which can help in strengthening relationships. Fishing is fun, even if you are unable to catch anything at the end of the trip. Fishing takes time and is sometimes a hit-or-miss activity, and this can promote patience, determination, and perseverance. Fishing is a skill that can be enjoyed by anybody at any age, and being able to catch or simply get a bite feels fulfilling. 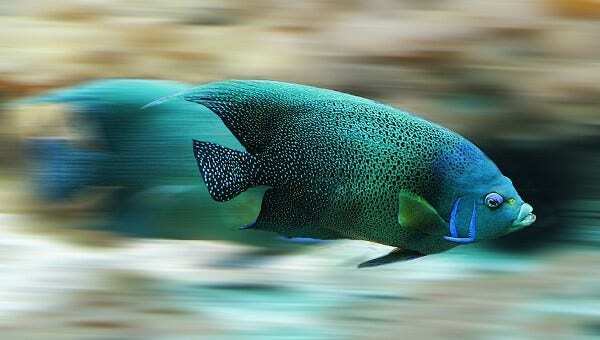 For fish lovers out there or those who are trying to promote their business on aquarium care, we also have an whole page full of Aquarium Brochure templates for you. Always respect private property. 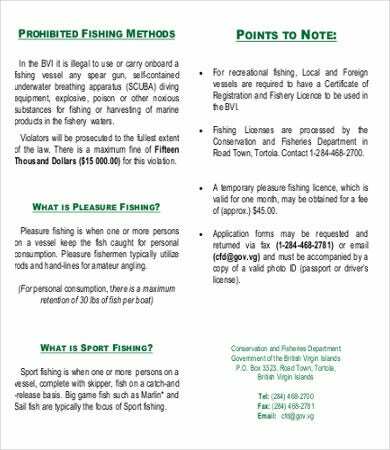 If a fishing spot is owned by somebody, ask permission first from the owner before starting to fish. Also, respect other people who are fishing by providing them with adequate room to fish. Catch and release whenever possible. Do not keep the fish that you’re not planning to eat. Always plan ahead. Always bring a first aid kit around in case of emergency. Be aware of your surroundings. Before you cast, keep an eye out for any person, animal, or even a bee hive or hornet’s nest nearby that might get caught on the hook. 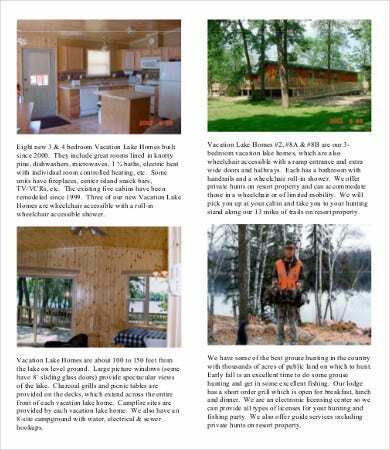 If you prefer brochures that can be divided into three parts, check out the page containing templates for Trifold Brochures. Make sure to tie the hook securely using the correct fishing knot to prevent losing your hooks and losing your catch. Don’t just reel the lure back in a random fashion. Think of how your actual prey should move and try to mimic it. Change the depth of your lure every single time. You can reel in your lure while it is submerged in the deep part of the water once cast, and you can reel it in while it is on the top part of the water. If you still aren’t able to get a bite after changing depths, then you might as well move on to another location. These brochure templates can be downloaded easily and for free, and you can save it in high-resolution PDF format to assure you of clear and sharp printouts. Just make sure to use thick, high-quality paper or thin cardboard when printing to avoid compromising the quality of the prints. For other types of brochure templates, also check out our collection of Geometric Brochure templates.